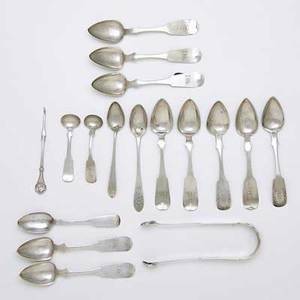 Twenty-six American coin silver spoons, 18th/19th c.
Twenty-six American coin silver spoons, 18th/19th c. , to include examples by E. Lownes, W. Miller, Harey Lewis, J. Stockman, etc., approx. 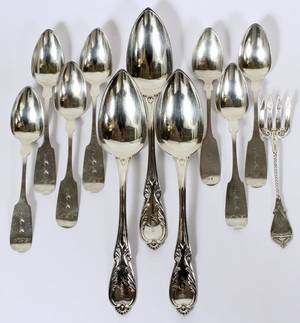 21.9 troy oz. 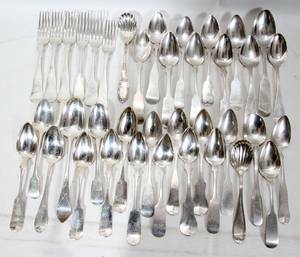 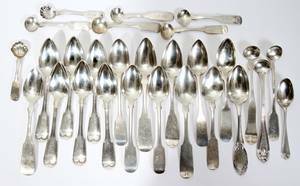 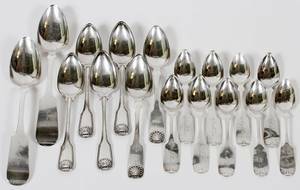 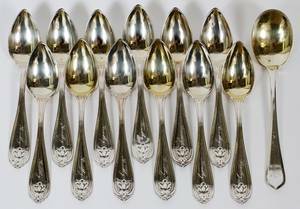 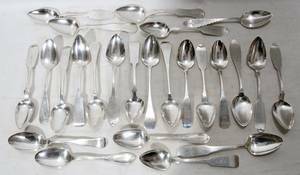 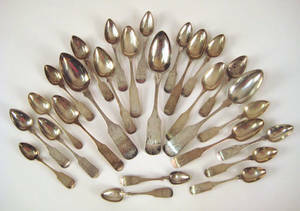 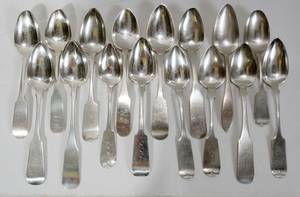 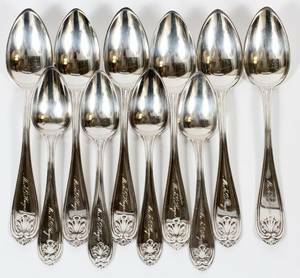 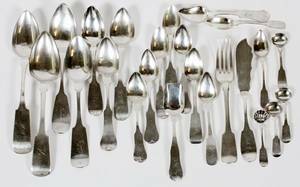 Archived auctions similar to Twenty-six American coin silver spoons, 18th/19th c.